This magnificent Annual Edition captures the power and beauty of the humpback whale as it leaps spectacularly out of the water. 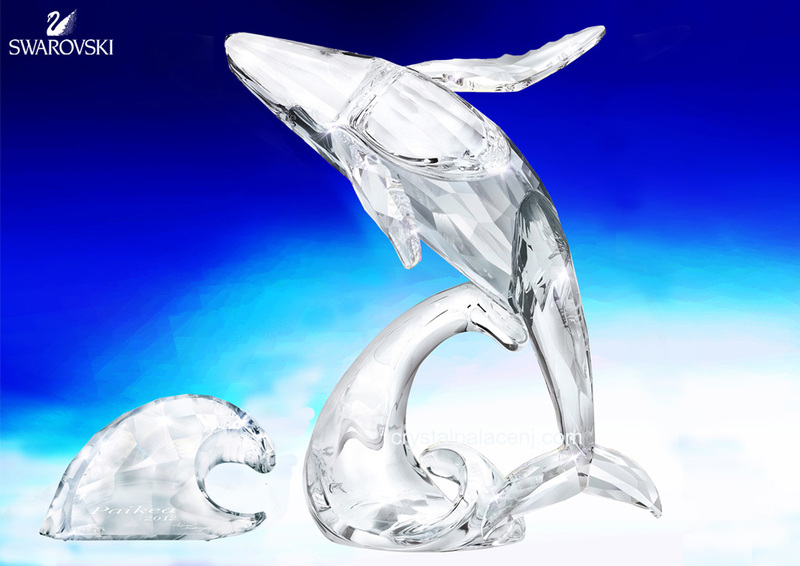 Beautifully crafted, the whale gleams in Shadow crystal with Crystal Moonlight fins. 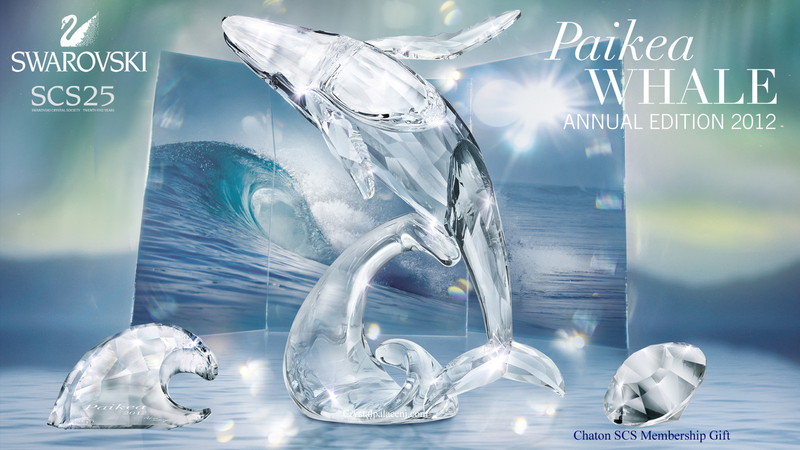 It comes with a certificate of authenticity, gloves, and a wave-shaped title plaque in clear crystal engraved with Paikea 2012 and the designer’s signature.